Model: The locomotive has a DCC/mfx digital decoder. It also has a miniature motor in the boiler. 2 axles powered. Traction tires. The dual headlights change over with the direction of travel, will work in conventional operation, and can be controlled digitally. The locomotive has a buffer capacitor. The inner boiler is constructed of metal. The locomotive has numerous separately applied handrails and grab irons. The boiler attachments and other details are intricately modelled. Length over the buffers 8.0 cm / 3-1/8". 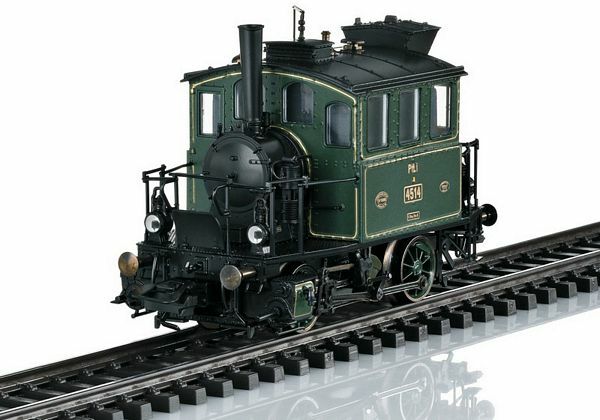 This model can be found in an AC version in the Märklin H0 assortment under item number 36867. 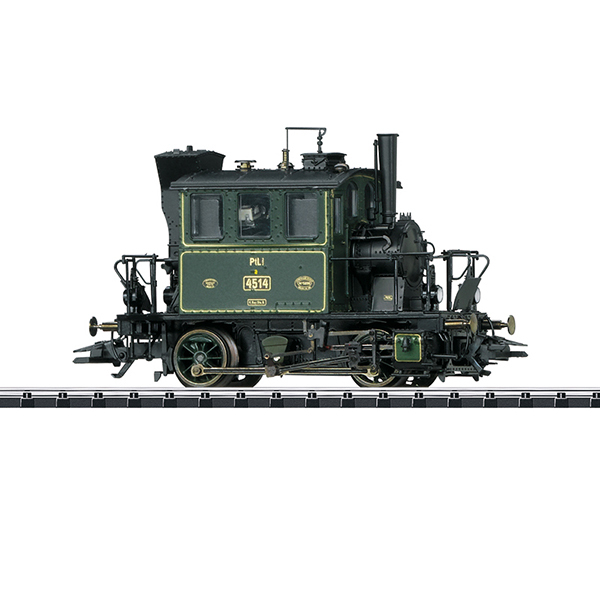 Passenger cars to go with this locomotive can be found in the Märklin H0 assortment under item numbers 42061, 42071, and 42081.